Logiciel Enterprises is a leading Development & Design expert company providing superior Software, Web, Mobile and Creative Designing solutions and services to companies globally....Read moreLogiciel Enterprises is a leading Development & Design expert company providing superior Software, Web, Mobile and Creative Designing solutions and services to companies globally. Having a strong Technology Development and Innovation center in Pakistan. 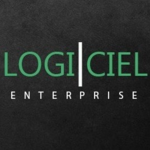 Logiciel has grown in footprint, service breadth and diversity, and in experience with the design and implementation of sophisticated solutions to help your business. We seek to strengthen client relationships by earning your trust and achieving operational excellence.